Bethlehem, PA (February 1, 2019) – Bundle up and get down South for February First Friday. Cast your vote for your favorite PEEP This! Sculpture. See them up close at Color Me Mine, located at 25 E. Third Street, front window, then make your choice by LIKING your favorite in our Facebook Album. The artist with the most likes by February 14th will win a $500 cash prize, and an amazing goodie basket from Just Born! Just in time for Valentine’s Day! Then make your way down Third or Fourth to take in the sounds of Lehigh Valley Underground’s First Friday Concert Series featuring Chris Calaiaco at the Hill to Hill Grille, Anthony Pasciuti at The Banana Factory, and Head Eye & Roi at The Funhouse and more! Come experience all First Friday has to offer – Music, Art, Culture and Deals! Be brave, bundle up and get down South! 5pm-6:30pm – EZ Money – (20 W. 4th St) – Live Music from Blues artist Timoteo with FREE REFRESHMENTS. 5:30pm-7pm – Hill to Hill Grille at the Comfort Suites Bethlehem – (120 W. 3rd St) – Live Performance from Bluegrass musician Chris Calaiaco. 6pm – 9pm – Molly’s Irish Grille & Sports Pub – (4th & New Streets) – Performance from rock artist Brian Kibler. 6:15pm – The Banana Factory – (25 W. 3rd St) – Performance from Anthony Pasciuti (formerly of January Noon) in the Crayola Gallery. 7pm-9pm – Domaci – (21 E. 3rd St) – Live music from acoustic guitarist Darin Jellison. 6pm-8:30pm – The Funhouse – (5 E. 4th St) – Live performance from rock band Head Eye & Roi (of Roi and the Secret People). 7:30pm – Sands Casino Resort Bethlehem – (77 Sands Blvd.) – Molten Lounge will feature Steal the Sky with DJ MC Tom Taylor. 8pm – Godfrey Daniels – (7 E. 4th St) – Performance from Folk Artist Tracy Grammer with Jim Henry. 9pm – SouthSide 313 Bar & Grille – (313 E. 3rd St) – Performance from rock band Shane Reimer and Them Spicy Boize. 10:30pm-1:30am – The Funhouse – (5 E. 4th St) – Live performance from Jazz Funk band J.R. and the Tribe. A-List Salon & Spa – (128 W. 4th St) – We are offering 30% off all liters and take-home treatments. A chance to win a year supply of Shampoo! While you’re here enjoy 50% off our customized treatment services! Happy First Friday! – FREE Kid Art Scavenger Hunt- 6PM-8PM, Visual Arts Classroom. Kids who turn in completed scavenger hunts to front desk get a special prize! Bonn Place Brewing – (310-14 Taylor Street) – First Friday HAPPY HOUR is from 4:07pm-5:33pm and begins at 3pm for Medical and Educational Professionals, with valid ID. The Bookstore Speakeasy – (336 Adams Street) – $2 off any seasonal cocktails, free black truffle French fries to share with the purchase of any large punch bowl. Domaci – (21 E. 3rd St) – Join us at the shop for First Friday in February! We’ll be welcoming our friends from the National Museum of Industrial History as they preview their upcoming exhibit “Don’t Touch That Dial: 100 Years of Radio”! Enjoy a shop full of unique furniture and home decor, not to mention refreshments, FREE BEER and live music beginning at 7pm! The final days of our Guest Appreciation Sale – 20% of (almost) everything! Open till 9pm every on First Fridays. Eva’s Bargain Boutique – (412 E. Fourth Street) – Valentine’s Day Sale!! 30% off any item in the shop! Fox Optical & Gallery – (28 E. Third Street) – Now through 2/23/19, Enjoy our exhibit: “Separate Pieces”, new works in ink and acrylic by Carol Parker. A reception for the artist will be held on First Friday from 6-9pm. Musical guest, “Copperfields,” performing acoustic music on banjo, guitar and lap steel from 6:30pm – 8:30pm. General Zapata – (15 E. Fourth Street) – Free dessert with purchase of combination platter, Happy First Friday! Lehigh Valley Charter High School for Arts – (321 E. Third Street) – There will be an opening reception for the Faculty, Alumni and Current Student Exhibit in the school’s Corpora Art Gallery from 6-8 PM. Members of the acclaimed Charter Arts Music Department will perform for a Music Faculty Concert at 7 PM in the Charter Arts Theatre. 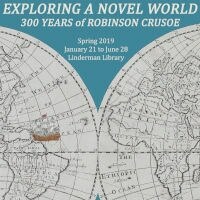 Both events are FREE and open to the public. Molly’s Irish Grille & Sports Pub – (Fourth & New Streets) – Happy HOURS! Join us fro 5pm – 7pm for FREE Appetizers at the Bar, $4 Irish Drafts, Music from Brian Kibler, and stay for DJ Chubby from 10pm – 2am. Sagra Beans – (306 South New Street) – Hot Chocolate Night! Your choice of Rich Dark Chocolate, Creamy White Chocolate or Hot Caramel! And $1.00 off Our Peanut Butter Cup Hot Chocolate or Hot Salted Carmel Pretzel! Enjoy FREE cookies with every beverage purchase! Social Still – (530 E. Third Street) – One complimentary spirit sample and 15% off any bottle purchase from 4pm – 8pm! South Side Lofts – (435 Hayes Street) – NEW Artist Showcase! Come view the works of South Side Loft Artist, Mary Ann Dunwoodie. Dunwoodie is a visually impaired artist who uses acrylics on canvas. Her work mainly consists of people, mainly woman, and nature. She has also done nature paintings on ornaments. Come enjoy this FREE reception from 6pm – 9pm. 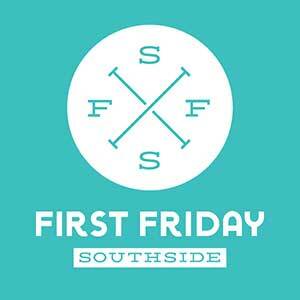 SouthSide 313 Bar & Grille – (313 E. Third Street) – First Friday Happy Hour specials from 3pm – 6pm – half-price small plates, $6 feature cocktails, $2 off wine and $4 craft beer drafts and $3 domestic drafts! Steel Vapor – (318 E. Third Street) – 10% off every First Friday! VegOut LV – (22 W. Fourth Street) – First Friday CHILI Special! Loaded perogies with chili, loaded potatoes with chili, and a cup of chili! Come enjoy VegOut – our NEW 100% Vegan restaurant operating within Roasted! Open Friday – Sunday from 5pm – 9pm! with over 600 open spots, located at 324 S. New Street.